What station doesn’t want to get paid just for being carried? In the most recent example of media companies negotiating for more dollars, DirecTV and CBS affiliate WCBI-TV have reached an agreement to continue carrying the north Mississippi station as part of its local channel lineup. In November, Little Rock’s KATV-TV edged out its competitors in every newscast but noon. The ABC affiliate came in third at 11:30 a.m. 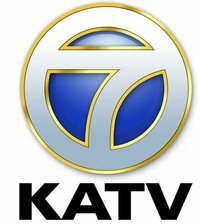 In addition, the website reports KATV’s household ratings actually improved in every category but the station’s 10 p.m., sliding from a 9.6 to 9.4. So what caused the boost? Well-known Nashville weatherman Bill Hall died earlier this week at the age of 65, the Daily News Journal reports. 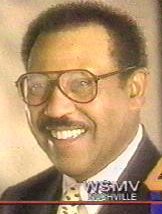 Hall, who worked for NBC affiliate WSMV-TV for 31 years, became popular with his viewers through his calming voice and quirky sense of humor. He started at the station as a weather reporter in 1974, moving up the ranks quickly. Despite a brief stint as a weekend news anchor in 1976, he became chief forecaster a year later. Though she’s been filling in this week for the station’s chief forecaster (meteorologist?) Stephen Bowers, Megan Parry will now be the new weekend meteorologist for WTOK-TV in Meridian, Miss. The hire’s so recent, Parry’s bio/photo haven’t been posted to the station’s website yet, but has been confirmed through WTOK’s Facebook fan page (and Parry’s personal page). Parry is a graduate student in the broadcast meteorology program at Mississippi State University. We’re looking for feedback here from people who frequent the site. What do you think of the new look?